Hi, I bought a hantek DSO5062BMV a while back and it looks like there haven't been firmware updates since 2014, I attached my system info window. As I can see from the firmware file in the Hantek page, the last firmware is from 2014-08-23! When you choose Hantek you should restrain your selection on the more basic and popular models. Firmware support isn't the best thing in Hantek, they simple don't care, mainly with the less popular models like yours. By the way, in your model, BMV looks like V stands for Video Help... Really?! Do you think it makes sense a video help on the scope to the point of paying twice the original P model? Again, Hantek is all about the basics, anything more is just to rip some extra money from you. That's why I think that a scope like GW Instek GDS-1072AU is definitely a better option, I would chose that instead if I knew what I know today. I bought that scope back in 2013, in Argentina. Due to import restriction and taxes my choices were pretty much only what my distributor had. the BMV model was on sale and it was really the best bang for the buck at the time. Do i feel buyer's remorse? a bit, would have i been able to do otherwise? probably no. Either way that will not change the fact that i have it now and i try to make the best of it. Thanks a lot! I just sent them an email. If i get updated files I'll upload them here if anyone has a similar model to mine. Got the update from Hantek, they said my kernel is no longer supported for updates (so they just gave me the 2014 one), to the question of how I could update my kernel they said "Buy a new one", lol. tinhead: is it possible to get latest debug firmware from them ? for mso5102d? i have kernel 2.6.30.4 running, with month old firmware 3.30.0 running on my old Tekway (with exact same hw version than yours). Yes, i do all updates over the network, manually, but it is possible. Was there any major improvement that would make it worth the trouble? I can't seem to find release notes for these firmwares. Interesting. I'm running 3.2.35 (160630.0) on my MSO5074FG (hw 10020). I use the first one, due to the fact that i have old hardware. Hantek removed the old firmware link, because firmware password is the same, and people with new hardware have very often installed wrong version - which eventually destroyed their DSOs. Of course one need on older hardware some libs installed, i do have actually dueal boot: MSO (with very special firmware from Hantek) and DSO (from the first link). For dueal boot i made simple script which checks unused button (probe check) to confirm boot, and F1 / F2 to select between MSO and DSO. Due to the fact that MSO and DSO are using complettly different FPGA designs, i have to boot twice - boot -> select platfrom -> boot again -> confirm, but that not a big deal knowing what necessary (when i reload FPGA design when FPGA is already running, I/O is not working properly). So yeah, my Tekway (it actually Tekway DSO, with extra MSO PCB and LAN and and and) DSO is bit special, and i have to decrypt/copy files manually when updating, but it works. For other models, like BMV with old hardware, one can use the firmware from first link, but again maually! SD and 2M point are working on my DSO as well, i did modified mainboard as well (bigger memory). What's latest firmware for this machine? for this version please recommend an upgrade solution? I read that that kind of scope had probably also bad CPLD design installed. My components arrived for LAN modification. Before i start to solder it i want to ask for what is the battery on the main board? I just want to remove it before modification, does will lose some calibration information? I'v bought bricked Voltcraft DSO-1062D, I look for full zImage (It will be grateful). There are linux 3.2.35 and damaged rootfs partition. are the links correct? Ist the first "for old hw" valid for e.g. 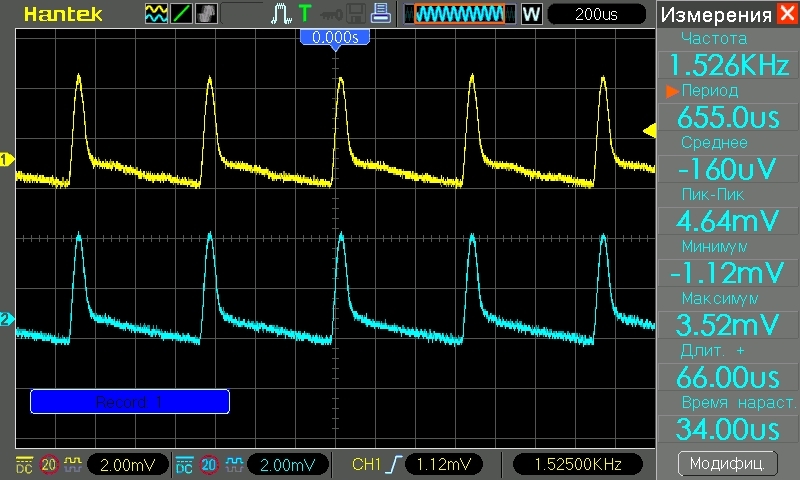 Voltcraft DSO-3062C? the content of both is file starting dso5kb_ ... only different datecode. There is some fw dst1kb_2.06.3_15202b_fact(140211.0).up on russian site, do you have some info about it? 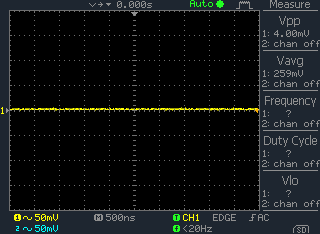 Once connected to the probe dso5102p to channel 2, and measured them tp907 point everything was fine. The pdf file put down signals at the control points measured by other oscilloscope after launch without probes and signals when the measuring point is tp907 dso5102p themselves. All other control points on the voltage (901,904,905) such as blade 907 no. Tell me what could be the problem? I found the cause. It was defective 12V regulator 78m12, replaced the 7812A solve the problem.!! Please help me to backup data of my DSO. I want to back up the DSO before adding the parts for LAN. No success. - physically connected (via UART<->USB converter) and PuTTY (log attached). It boots to a blue screen then dark, cycles ..
usb/pc see DSO without problem. I see on DSO-USB-Tool , with shell command ls , found a DSO 1202b. I like ask please IF Is better I update a firmware better (what exactly) ? and if the "hardware" work fine to 200 Mhz or need something update. some scope volts timing screens. That was a few weeks ago.. Some how either a virus or bad usb drive made it unworkable. Normally the firmware would (should) check if the unit is correct for upgrade.. ( got MSO5202D) clicked wrong link! That didn't happen. That's how I ended up here ~1 year ago. The unit has very low hours on it! have the 3.3v, ground, Tx, Rx, (4 wires) cabled out the back. Hooked up to a PicAxe 027 (FTDI chip inside) USB cable, it's ~3.6 volts. with 3 wires only. Problem is I don't know about the UART or TTL stuff very well at all. 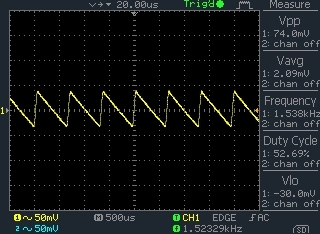 Other than TTL is Transistor To Transistor Logic? The Chip inside the unit is complex! I finally got around to upgrading my 5000P series and documented it by making a Movie, everything went just fine. I have an Hantek DSO5102P oscilloscope with stock firmware dso5kp_func_dso5102p20140208 on it, that has not been used for the last 6 months. Yesterday I tried to turn it on and remains frozen on screen logo. I connected a serial interface to internal port and I got the following result (text file). How can I solve this problem? I did dump restore before installing the firmware. If I try to rewrite root.bin with DNW freezes, as shown in picture. I can access the boot menu but I can not get into console. Please help. I have 2x scopes of the of revision hw1005, hacked to 200MHz bandwidth and updated to firmware 130814. Both worked fine, until a year ago, when the first one started to hang at step 8/36 of self calibration - error code 0x400. Any idea, how to fix it ? Is it caused by a HW defect and what components are most likely concerned ? I also had issues with failing calibration when I developed my improved 250MHz analog hack (www.eevblog.com/forum/testgear/hantek-tekway-dso-hack-get-200mhz-bw-for-free/msg979548/#msg979548). It seems that the they check if offset and gain of the input stage are within reasonable ranges. I would look there first.